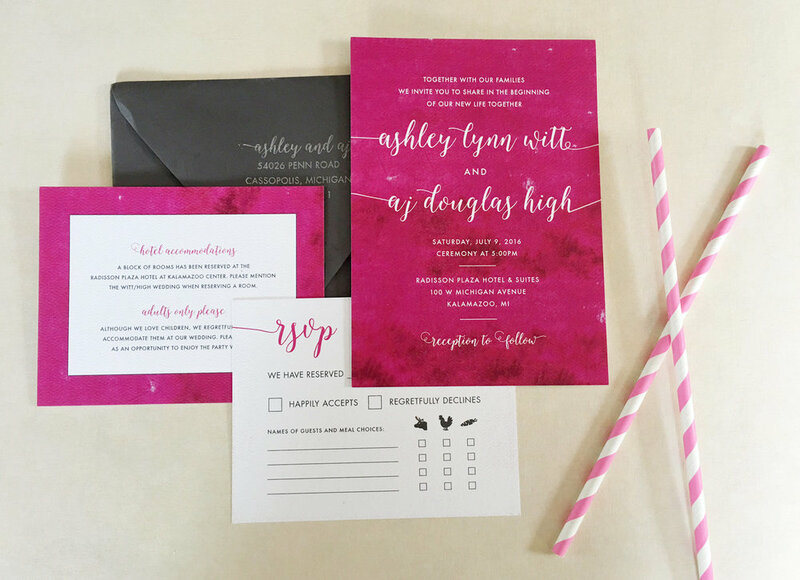 Ashley + AJ — Rook Design Co.
Ashley wanted a bold hot pink wedding color palatte, and AJ her fiancee.... not so much. So I paired a charcoal grey with a modern, vibrant water color background to offset the bold pinks. 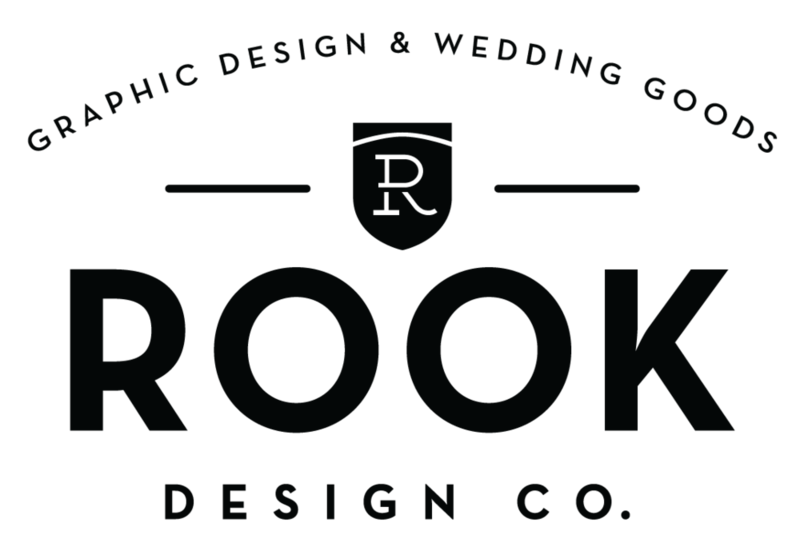 Paired with a lowercase calligraphy font for their names, and a bold font for the details, the combination was modern and elegant. 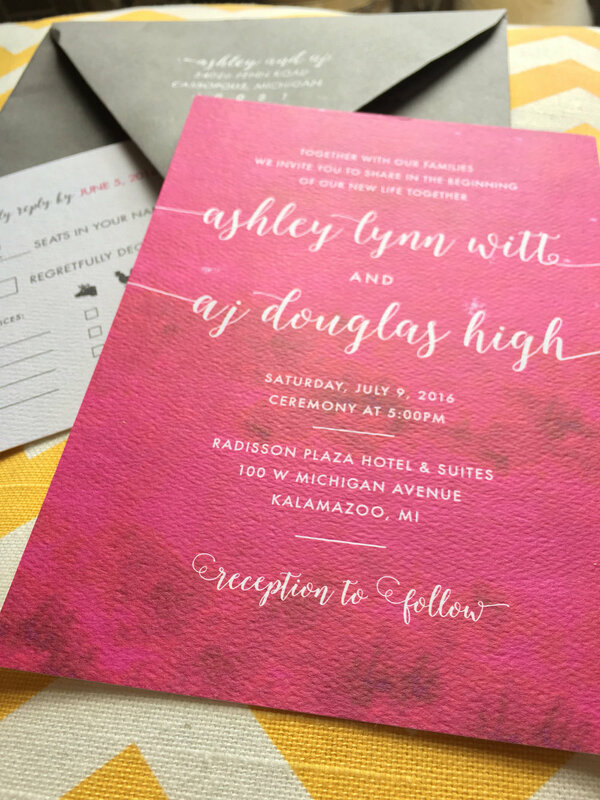 To simplify postage, Ashley went with a postcard RSVP. 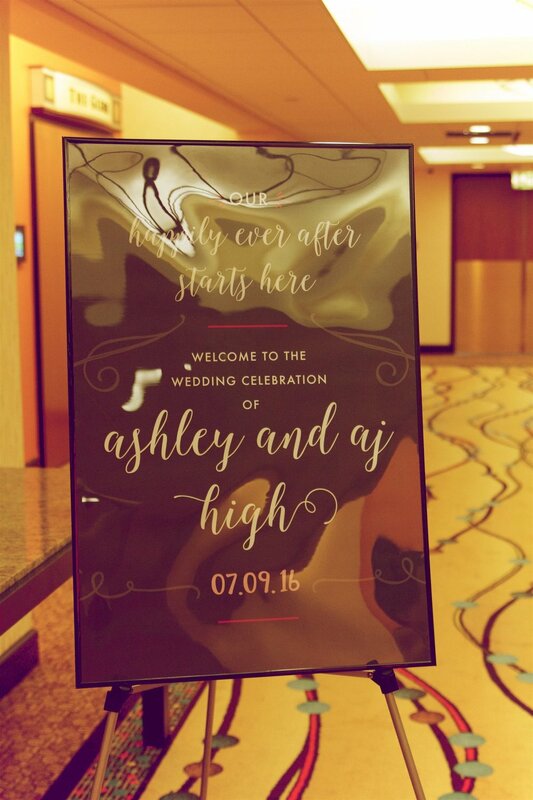 The invitations and day of materials went perfectly with their Kalamazoo hotel wedding. One sign I was delighted to design was this "You can find your seat here, but your place is on the Dance Floor" poster. 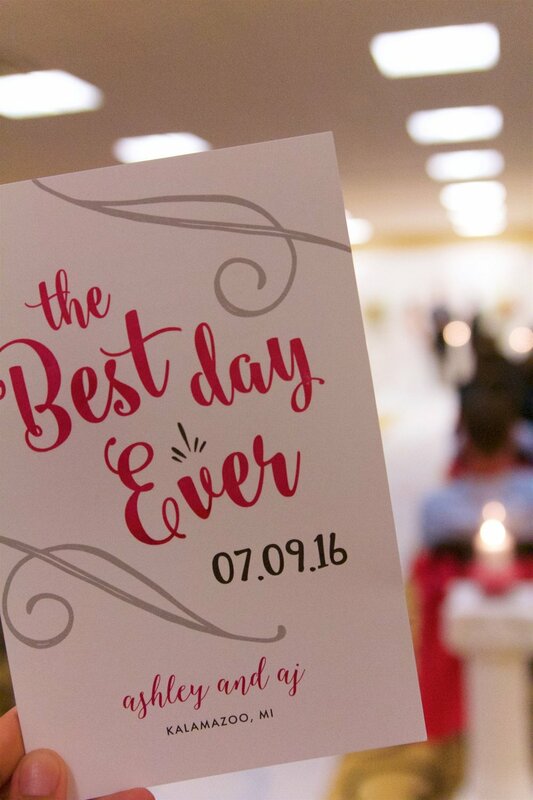 A cheeky way to highlight the place cards.